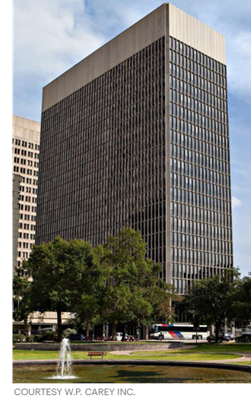 ​​ HOUSTON – 500 Jefferson, a nearly 400,000-sf building in Houston's Central Business District, has a new owner. Jefferson Smith LLC bought the building from New York-based W.P. Carey​. 500 Jefferson sits on a full city block at Jefferson St. and Smith St., and contains a four-story parking garage. Houston-based KBR Inc. had been the main tenant in the building for years—leasing roughly 316,326 sf.